College graduate Josephine "Josie" Jackson answers "yes" to the question on a survey while visiting the Old West tourist town of Tombstone. The next morning, she wakes up in Indian Territory in the 1840s, where she's given a mission to complete before she can return to her time: to reset history, and prevent the deaths of hundreds of thousands over the next century, by convincing the man responsible for kindling the war between settlers and natives to stay home on the day he's supposed to start the war. 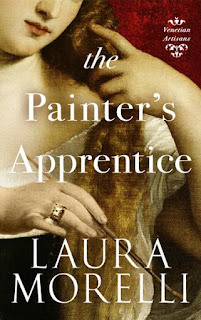 Today, I have the pleasure to interview Sara Sheridan. She is the author of the Mirabelle Bevan historical mystery series. She has recently published, On Starlit Seas, which is a novel based on the life of Maria Graham. I have greatly enjoyed her Mirabelle Bevan mysteries, and I look forward to reading this one as well! 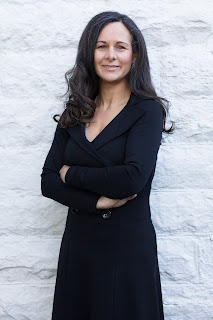 I hope this interview will give you some insight into her novel. Thank you, Mrs. Sheridan! You were inspired to write On Starlit Seas on a real person. What drew you to her story? I found Maria Graham in the National Library of Scotland’s John Murray archive. They had the books she’d originally written and her letters, journals and other papers. It was like finding a diamond in a mine. It was her nature, really - she just sparkled. It seemed extraordinary to me that this woman hadn’t been memorialised. She was a traveller, a writer and a mathematician. I wanted to write about her immediately. 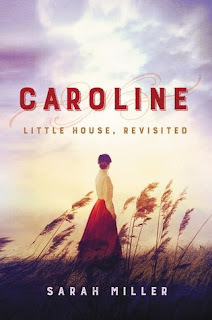 Synopsis: In this novel authorized by Little House Heritage Trust, Sarah Miller vividly recreates the beauty, hardship, and joys of the frontier in a dazzling work of historical fiction, a captivating story that illuminates one courageous, resilient, and loving pioneer woman as never before--Caroline Ingalls, "Ma" in Laura Ingalls Wilder's beloved Little House books. Today, I have the pleasure of interviewing Alex Lidell. She is the author of The Cadet at Tildor. She has recently published the first two books in the Air and Ash historical fantasy series. I really loved Air and Ash, and I'm excited to read the sequel War and Wind! I hope this interview will help you gain an interest in her work. Thank you, Mrs. Lidell! What did you draw upon for your inspiration for Air and Ash? Originally, it was sparked by the Master and Commander movie - and then I listen to A LOT of naval audiobooks, from more middle grade like Bloody Jack to the classics like Horatio Hornblower. The more time I spent “at sea” the more fascinating I found it! Mostly through the various companion texts written about Jack Aubrey’s adventures. Thanks to Patrick O’Brian there is a TON of stuff out there. Have you always been fascinated with naval battles and naval history? 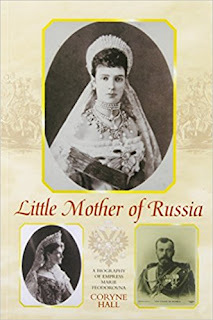 Little Mother of Russia: A Biography of Empress Marie Feodorovna (1847-1928) Author: Coryne Hall Genre: Nonfiction, History, Biography Publisher: Holmes and Meier Release Date: 2006 Pages: 416 Source: My State Public Library Synopsis: Princess Dagmar, daughter of King Christian IX of Denmark and sister Queen Alexandra of England and King George I of Greece, was betrothed to Tsarevitch Nicholas of Russia, a love match on both sides. Tragically, he died just months before their wedding. Out of duty she married his brother in 1866, and so fifteen years later this poor, obscure princess was raised to the heights of the Russian imperial throne when her husband became Alexander III, after the assassination of his father. Her son was Nicholas II, the last Tsar.